We’re hiring! If you’ve ever wanted to get your foot in the door at an Interior Design Studio, now is your chance! 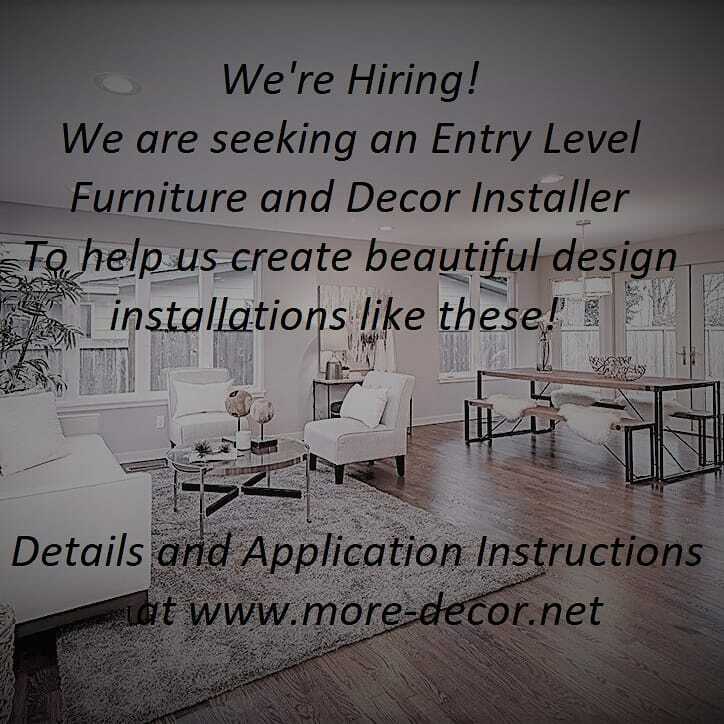 We are seeking an Entry Level Furniture and Decor Installer to help us prep for design installations, move furniture, and decorate houses, No Experience Required! We would love someone that has a passion for wanting to learn about this industry, loves people, and has a can-do attitude! E-mail a cover letter to jessica@more-decor.net explaining why you want this position, and a resume detailing your work, volunteer, or internship experience, and education history. Full job description, hours, and compensation available on www.more-decor.net, under career opportunities, under about us. Tag your friends that you think would be perfect for this, thank you! !